Are you thinking of using glasses again just because of feeling some minor discomforts while wearing contact lenses? Before you do that, please know the reasons behind it and then decide. Size of contacts: The ‘one-size-fits-all’ theory does not fit for contact lenses. Diameter and base curve, both in millimeters, determines which size you should go for. This measurement is done by your eye care professional, which may not always be right, causing the discomfort. Bigger than necessary contacts may cause abrasions on your cornea. In such cases, the size is needed to be adjusted which your eye doctor will surely do. 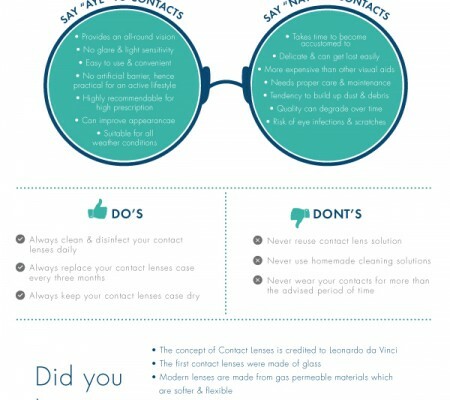 Proper care of contacts: The best way to not let the pathogens build up on the surface of the contacts is cleaning it every night with contact lens solution. Else, your eyes may face irritation, redness etc. Therefore, act safe to keep your eyes safe. 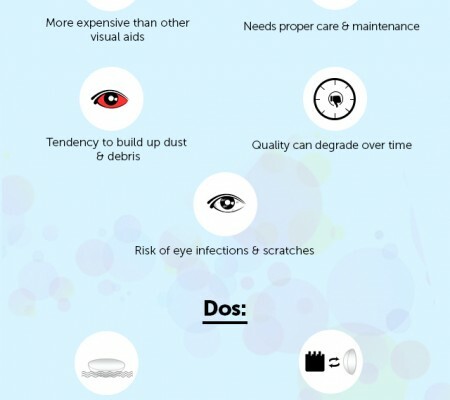 Dryness in eyes: Smoking, consuming alcohol, long hours in front of computers (this makes our eyes blink five time lesser than normal) etc are some of the reasons behind dryness in eyes. So, consult with your eye doctor and use the most suitable eye drops to lubricate your eyes. Keep yourself away from dust: Pollens, dust particles, animal dander may accumulate on the lenses causing irritation to your eyes. You either clean it daily or switch to daily disposables. Special medical conditions: Contact lens is not for everybody. First, one should consult with an eye doctor to confirm whether he should go for it or not and yes, your eyes should be healthy also. If your eyes gets swollen or red or you feel pain while wearing the lenses, just remove your lenses and consult your eye doctor. It may be an infection. Take proper care of it else it may lead to loss of vision. Proper diagnosis: Neither be afraid to consult your eye doctor nor put off the visit with him. As, the solution to your problem can be any of the simple remedies – using eye drops, different prescription, new lens care routine or something relevant. Hardly a contact lens user had ever been asked to stop wearing it. So, be quick to get rid off the problem forever. 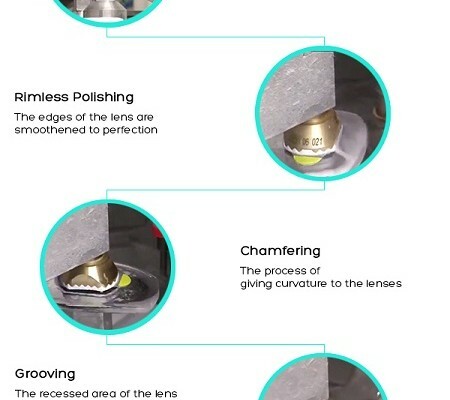 There are contact lenses in market, which ensures almost zero discomfort. Johnson & Johnson contact lenses, Ciba Vision contact lenses, Bausch & Lomb contact lenses are the best contacts available in the market that one can use with confidence and can bid discomfort good-bye.